Weber Shandwick, BCW (Burson Cohn & Wolfe) and MSL lead the pack in nominations for the PRWeek Global Awards 2019 - with the full shortlist revealed today. Weber Shandwick won big in 2018. Will it do so again? 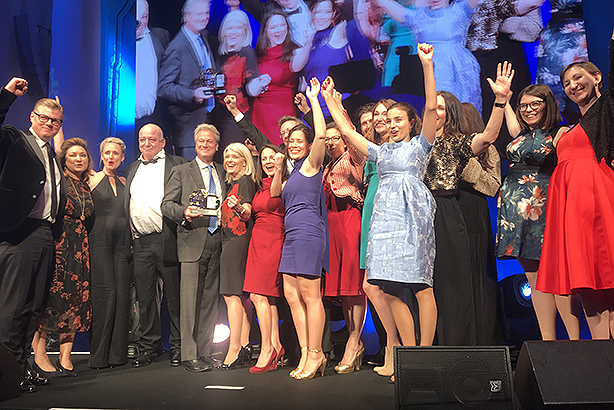 The winners will be announced at a gala awards night on Tuesday 21 May at London Marriott Hotel, Grosvenor Square – click here for tickets and more information. Weber Shandwick and BCW lead the shortlist with 15 nominations each. The former's nominations include three for Who Sprinkled Salt on My Cake?, a campaign in South Korea for which McCann Health is jointly credited. BCW’s #24YouHaveThePower campaign for Pfizer Vaccines UK, which promotes vaccinations against meningitis, appears on the shortlist three times. MSL is nominated 12 times. Its most-nominated campaign is Day of the Dead 2018 for Mexico Tourism Board, which appears in four categories. Other agencies to receive multiple nominations include Hill + Knowlton and Ketchum (seven each), Edelman and Golin (six each), and 90TEN (four). The PRWeek Global Awards celebrate transformative work that crosses global territories, as well as the best work in different regions. This year’s awards feature a total of 33 categories covering campaigns, global PR programmes, agencies and individuals in both in-house and consultancy roles. An elite panel of judges from across the US, UK, Europe, Asia, LATAM, Middle East, Americas and Africa reviewed and scored each entry. This year there are nine new categories, all focused on different regions. Click here to read last year's PRWeek Global Awards winners. This article was amended on 7 March to say BCW had 15 nominations, not 14 as originally reported.